When I was 21, I suffered from some stomach ills and depression. My employer had employee assistance programs that would pay for counseling. I decided to take advantage of it and made an appointment with a psychologist. Everything was going smoothly, and then out of the blue she asked me about my father and our relationship. In seconds, I turned white in the face, became dizzy, and had to put my head down and do some deep breathing. We ended right there and I never went back. I carried the secret of our relationship for decades. But into my late 40s, things had gotten worse for me and I realized I should see someone and talk about it. It was slow going until one day I just blurted out about what he did and how I felt it had affected me. It was painful. I must have cried for ten minutes before getting control. I felt like a fool. Later, I felt better— better than I had in years. I went back and began the long tedious and painful process of unpacking it. Since then I have been selectively open about my abuse with certain people and situations. I feel it benefits others. I’ve sought to analyze why I feel the need still to talk about it. It hurts my wife to hear about this stuff, and I seldom bring it up with her. 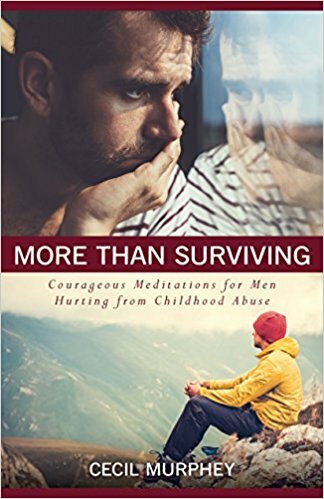 But when I found a website exclusively for men who have been abused and are dealing with the effects, I was thrilled to have a place to actually talk about it freely with people who understood. I opened up about things that I hadn’t told anyone before. Getting validation for those feelings and thoughts was absolutely huge. I understand, and I hear what you’re saying. It's great to be heard and not just listened to. Here I am on this blog, spilling my guts, getting validation, and hopefully giving some too. To know you are not alone and can share the pain with someone who really gets it is beyond price. Obviously, I can't redo my youthful pain; I don't want to rewrite my early experiences. But I can emotionally embrace that crushed, beaten-down, pain-stricken part of me from my childhood. Because I've become a strong believer in self-affirmation statements, here's one thing I say several times each morning: "I love who I am, I love who I used to be, and I love who I'm becoming." And I learned, as Black pointed out, that it wasn't too late for me to heal that traumatized little boy. I love who I am, I love who I used to be, and I love who I'm becoming. Lord, thank you for making me the person I am. 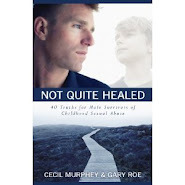 The speaker referred to "strategies for protection from painful memories." He said many of us, unable to face the reality of horrible childhoods, unconsciously rewrote our family history and called that period of life by many terms, such as happy, conventional, nearly perfect. Yes, I thought, I was one of them. In seminary, we had to take courses in pastoral counseling. In a personal interview, the lead professor asked me about my childhood. "My mother was warm and accepting; my dad was quiet. I had a conventional, happy childhood." I said more than that—and thought I was telling the truth. Years later, I was showering and realized I had not seen my family the way they truly were. "My mother was hard-hearted and unloving!" I yelled at my wife. "My dad was mean and brutal!" Shirley hugged me and said, "Several times I heard you talk to others about your warm, loving family. I thought your mother was one of the coldest individuals I've ever met." That opened me up. I had deceived myself (or I could call it lived in denial) and used words like conventional or happy to express my childhood. From that day onward, I began to accept my real family history. 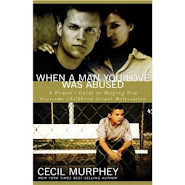 A year later, I could admit that I had been physically, verbally, and sexual assaulted as a child and that neither of my parents expressed affection. God, help me not to rewrite my childhood history. Instead, help me to accept the real one.